Marketing seems to have gotten so complicated. People speak of CRM and SEO. Successfully navigating social media seems difficult for many people. There are an increasing number of new communication platforms. How does one plan media across so many different channels? Marketing research now includes online focus groups, eye tracking and brain scanning among several other high-tech approaches. And then there is big data analytics. Where will it all end? And yet, I would encourage marketers to revisit good old fashioned common sense. Who is our customer? What are her needs? How does she perceive us? Where does she shop? How does she make her purchase decisions? Who or what informs her buying choices? What stands in the way of her buying our products? How can we make our products more appealing to her? What messages will resonate with her? How can we get her to buy more of our stuff? How can we better connect with her on an emotional level? These are the simple common sense questions that every marketer should ask. The funny thing is that so many marketers get caught up in the tools and tactics that they forget to ask the fundamental questions. 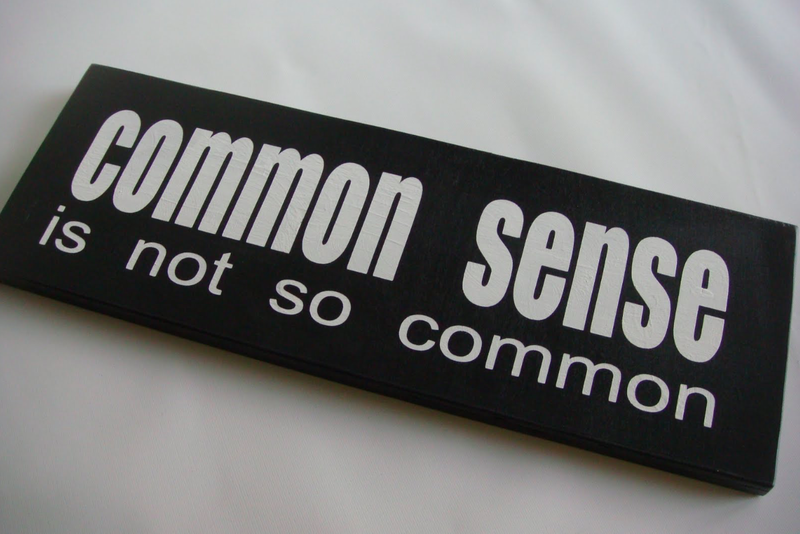 Don't forget to use common sense when you are developing marketing programs and campaigns. PLease continue publishing helpful topics like this. Regards, from alwaysopencommerce.com.